According to figures released today by Statista, the average adult in Finland drinks more than 3 ½ cups of coffee a day. That more than triples the amount of coffee consumed by the average adult in the U.S. As with so many things, our hope of catching up rests in the hands of our children. 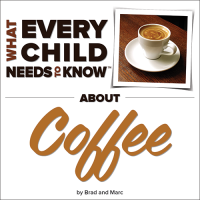 Get them started with a copy of What Every Child Needs To Know About Coffee.